With the assistance of a grant from the Wyoming Wildlife and Natural Resource Trust (WWNRT), the CCCD staff planted 60 trees each at two fenced sites in Campbell County in May 2017. Three categories of cottonwood stock (20 of each - 1 yr. old bareroot, deep pot from purchased bareroot, and deep pot from local stock cuttings) were planted and weed barrier was added to 10 trees of each type. Protectors were provided for each tree also. The seedlings will be evaluated in the Fall and Spring for 3 years. We are very excited to initiate this project and would like to thank the participating landowners, the University of Wyoming/Sheridan Research and Extension Center and WWNRT for their partnership! Cottonwood trees play an important role in many of Wyoming’s riparian systems, but multiple stressors may be leading to reduction in establishment of new cottonwoods from seed. Various efforts have been undertaken to restore cottonwoods to areas where they have been depleted. 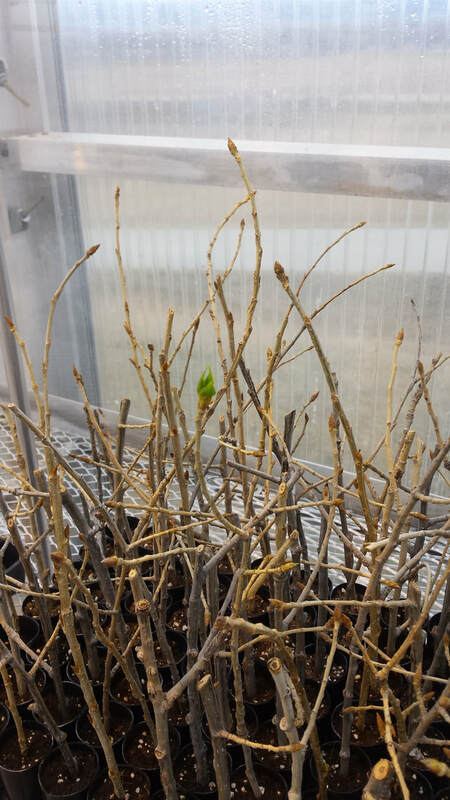 Research from USDA in Montana indicates that transplanting cottonwoods grown in deep pots (>24” depth) improves transplant survival and subsequent growth. To test this research, the CCCD started a project in the Spring of 2017 to see how this might be applicable to Campbell County. 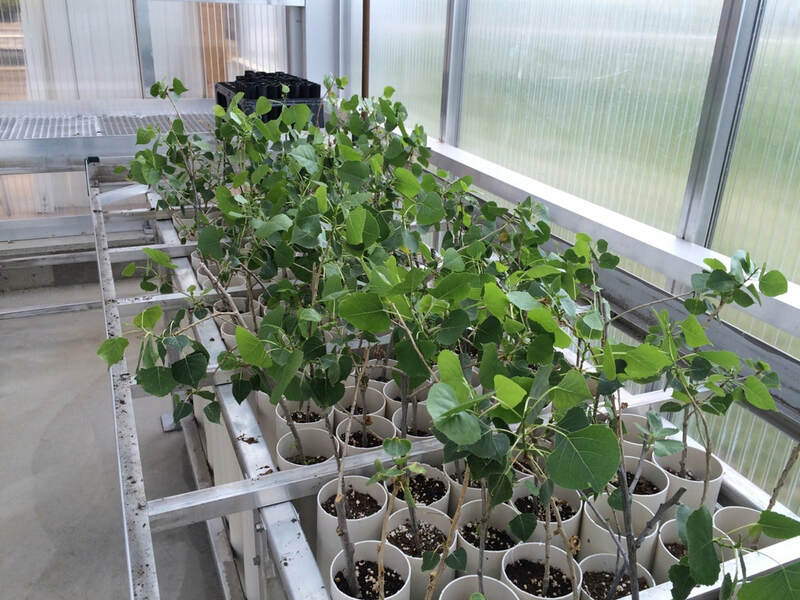 Goal: To produce sufficient numbers of deep-potted cottonwood trees from locally-sourced cuttings and purchased plant materials to support a future evaluation of transplant survival in a Campbell County riparian area. Objectives: Specific objectives are to propagate multiple cottonwood trees in deep-pots in the Sheridan Research and Extension Center greenhouse and high-tunnels so they are ready for transplanting into a field setting in spring 2017. Expected Impact: The cottonwoods grown from this initial project will support a planned restoration project and evaluation of plant materials in Campbell County. Information gained from this project will assist landowners and conservation partners with riparian restoration projects into the future.